Shredding involves the fragmenting of scrap in a large hammermill, which changes the physical size and shape of the scrap into relatively homogeneous, fist-sized pieces enabling separation according to physical characteristics. Raw material, predominately scrap automobile hulks, white goods and sheet metal, is converted into a clean, high-grade product acceptable to steel mills for remelt. 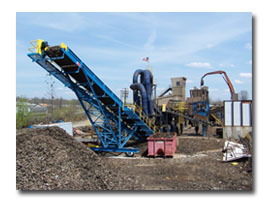 In producing this scrap product, the shredder automatically removes the non-recyclable materials from the metal. This ensures that the end product not only conforms to the steel mill’s physical standards and density requirements but is consistent with their stringent chemical parameters. All inbound raw material and outbound finished scrap is scanned for radioactive materials by sophisticated radiation detection equipment. 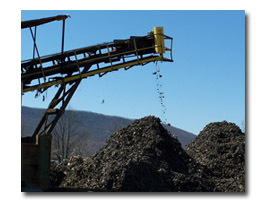 In addition, all incoming scrap materials must adhere to the company’s strict environmental and safety guidelines. 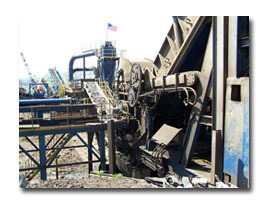 In addition to the shredder mill itself, equipment utilized include a variety of hydraulic cranes, cable cranes, rubber-tired loaders, track loaders, large rubber-tired fork loaders and skid loaders. A new mill with associated down-stream and air-pollution control equipment was installed in 2002. 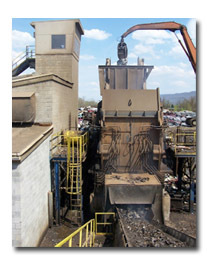 Finished fragmentized scrap is delivered via truck and/or rail to steel mills throughout the East and Midwest. © 2019, Penn Recycling. All Rights Reserved.